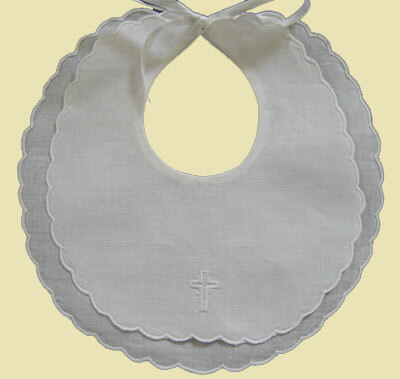 Dress your sweet little bundle in this Sunday Best Bib. The white cotton bib has been constructed with double scalloped layers. The top layer has been simply embroidered with a small white cross. The simple inviting feel of cotton is timeless.